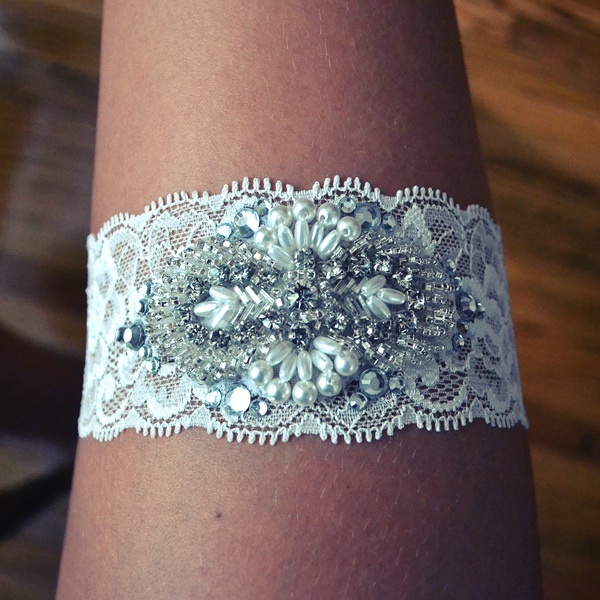 I didn’t wear a garter on my wedding day, but that’s not to say I don’t like them. In fact, there’s some REALLY beautiful ones out there. I chose not to wear a garter for a number of reasons; firstly, I have chubby legs and I felt it wouldn’t be very flattering! Secondly, I didn’t want to do the traditional garter shot (for the same reason!). Thirdly, my dress was so big and restrictive that I felt if it needed rearranging if it got uncomfortable or started slipping, that I wouldn’t actually be able to do anything about it because my dress would be in the way. And lastly, if I had have bought one, I’d have wanted one that’d match our theme and that would require it being designed for me (not many people require woodland themed garters on the high street!) and that would have been expensive. I didn’t want to buy something that I wasn’t 100% on wearing so I decided to take that worry away and not have one at all.